There is nothing quite as exciting as loading up a NetEnt online slot for the first time as you always know that you are going to be in for something special. With The Invisible Man, there is no exception to this rule as it is an online slot that not only has some stunning graphics but also some exceptional bonus features as well. Utilising a standard reel format of 5-reels and 20-paylines, The Invisible Man is an online slot that can be classed as having a medium volatility. This means that there is always a good chance for some decent sized payouts to occur fairly frequently and with an RTP of 96.40%, it means that you are getting some pretty good value from the reels. As for the bonus features on this slot, you can expect to be entertained as it has wild symbols, walking wilds and a free spins round that can also unlock one of two additional bonus games. You might have guessed from the name of this online slot that it is themed around the famous H. G. Wells novel of the same name. While the main character is invisible, you could not say the same thing about the graphics as these are among the best we have seen on an online slot. Displayed in high definition, this fantastic-looking slot will certainly appeal to those that like to spin the reels of attractive looking slots. On the reels, you have symbols such as playing card symbols ranging between the 10 and Ace and the main characters from the story. These characters include Mr and Mrs Hall, Dr Cranley, Arthur Kemp and Flora Cranley with each of them being responsible for the games better-paying winning combinations. There are two wild symbols in the game which are the two main characters. The policeman and the invisible man are those two wilds and while they do the standard job of substituting for other symbols, they are also the key to this online slots main game features as well. Spinning the reels can be done with bets of between 0.20 and 100.00 and the largest single payout that you can hope to land on the reels is that of 500x your total spin bet. Obviously, that could be as high as 50,000 should you use the largest stake in the game. On the Invisible Man, there are some excellent game features and we will kick them off with the Walking Wilds feature that can reward you with some respins. If you manage to land the policeman on the first reel or the invisible man on the last reel, that particular symbol will become a walking wild. You will be given respins that will see the symbol walk from one side of the screen to the other with each respins seeing it move one place. 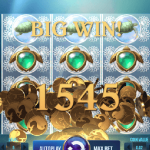 This continues until the symbol has walked off the reels and by that time you should have earned yourself a number of good payouts from the respins you were given. What is even more exciting about this round is that there is the potential to unlock the games other main feature. More on that below. If you have both of the symbols and they meet each other in the middle, you will unlock the games free spins round. You will be given ten of them and will also have additional wild symbols added to the reels. If you manage to merge these symbols again during the free spins round you will be given another ten free spins. Essentially, you can keep landing additional free spins as you go to really give you the potential of making some healthy profits on the reels. 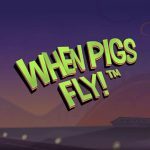 If you thought that was it, prepare to be told about even more excellence that can occur during this free spins round. Above the reels, you will see that there are two metres. These metres are for the two different types of walking wilds and will fill up every time one of them walks off the screen. Each of them has eight spaces to fill and should you manage to fill either of them up before the free spins round ends, you will unlock one of two bonus games. Police Spins – If you fill up the metre for the policeman walking wild, you will be given a further five free spins but this time with an additional five wild symbols added to the reels. Griffin’s Rage – If you fill up the Invisible Man’s metre, you will unlock a picking game that takes place at three different locations. These are the Lion’s Head Inn, the mansion and Ipping At each location, you are given one pick of five different items and can find bonuses such as multipliers or random prizes. If you find a policeman’s hat, the bonus round will end there and then so pick carefully. Not a bad free spins round all be told, right? This is the biggest reason why this online slot is so popular in fact, as once you unlock this feature you are pretty much guaranteed multiple payouts that will go a long way to improving your account balance. There literally is nothing to complain about this online slot from Net Entertainment. The Invisible Man practically ticks every box that we have when it comes to what we want from an online slot. It has the top-quality graphics, the excellent game features, the entertaining action on the reels and a good theme as well. The smallest gripe we would have is the use of playing card symbols but what difference does that really make? The next time you plan to have an online gambling session at your favourite online casino, make sure you keep an eye out for this excellent online slot. Once you have played it once we just know that you will keep going back for more as it really is one of the best online slots around.